Yoo Bang is alerted that Cheonha Group wants to annex the factory, so unwilling to accept the investment by president Jin. President Jin asks Jang Ryang to come forward to invest. Mo Ga Bi struts in borrowed plumes, replacing president Jin to manage the major and minor affairs. Sun Group proposes to hold open competition for the products from Hang Woo and Yoo Bang, that is from Cheonha Group and Bensung Group respectively. Hang Woo does not know that Hang Ryang has gone and lived as a dependent of Yoo Bang, he wants Hang Ryang to become an undercover agent to bribe the judge. Yoo Bang proposes that the judges to make the evaluation without knowing which company’s products they are. The judges finally choose Cheonha Group as winner, but Yoo Bang tears the white paper, turns up Bensung Group has got the highest mark. Hang Woo has no choice but to accept the result of open competition. 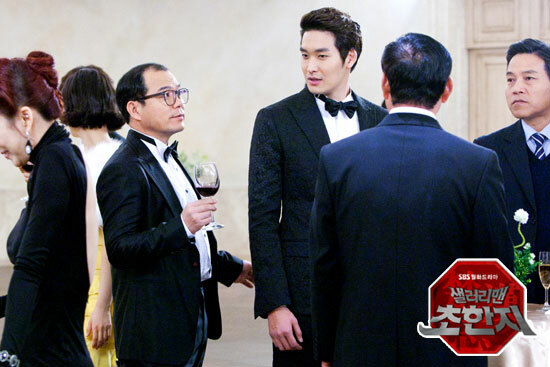 President Jin discovers that Mo Ga Bi is the most sinister person, but it’s too late. President Jin uses a will to show the true color of Mo Ga Bi, but is killed by him.